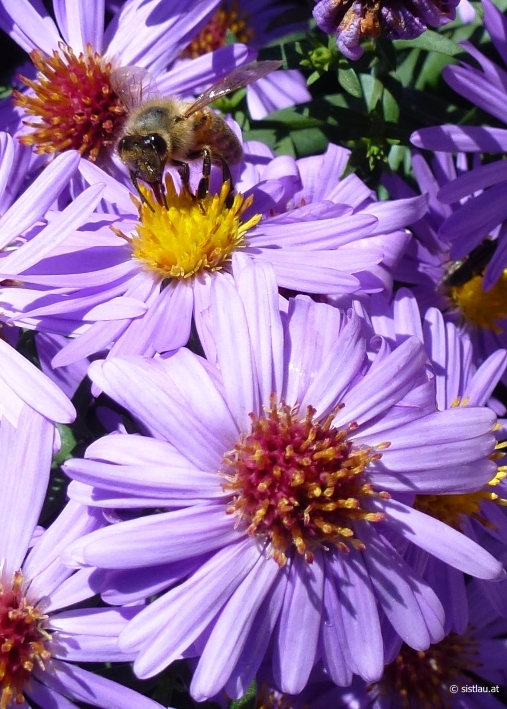 My mother seems to like every aster on this planet, therefore her garden is in autumn very colorful. This „forest“ of Aster amellus caught my eye. Early in the morning it was cold, but the sunshine warmed up everything very fast. 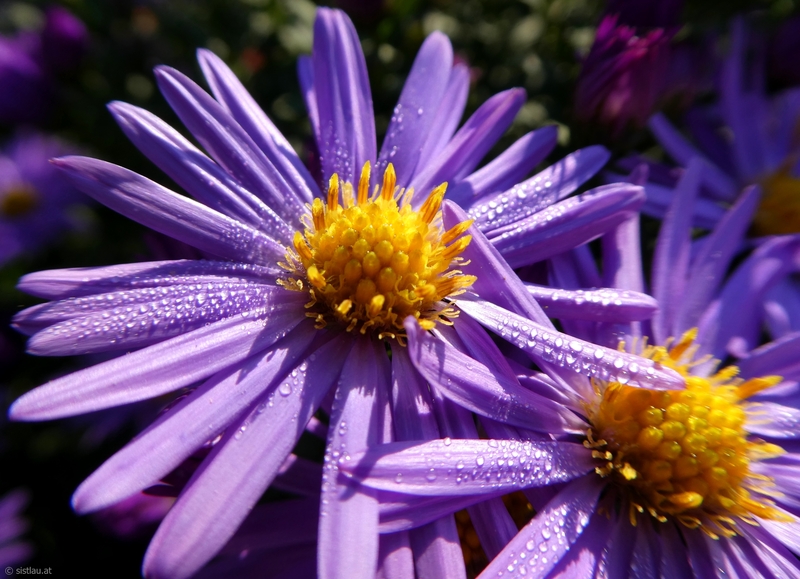 Little water drops lingered like diamonds on the petals – H2O (water) instead of C (carbon).